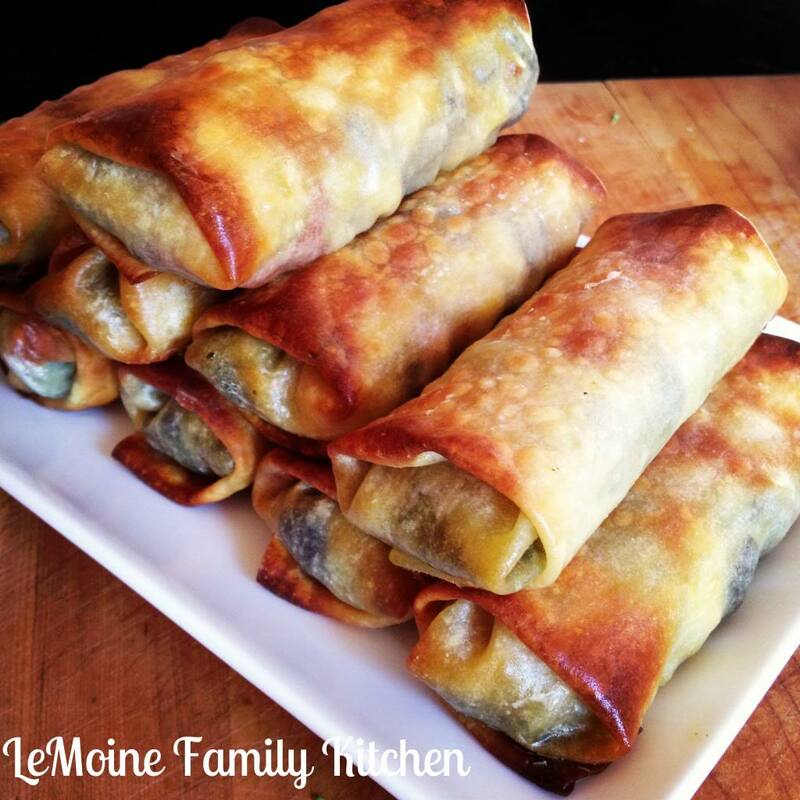 Perfect as a side or a fun hors d’oeuvre. 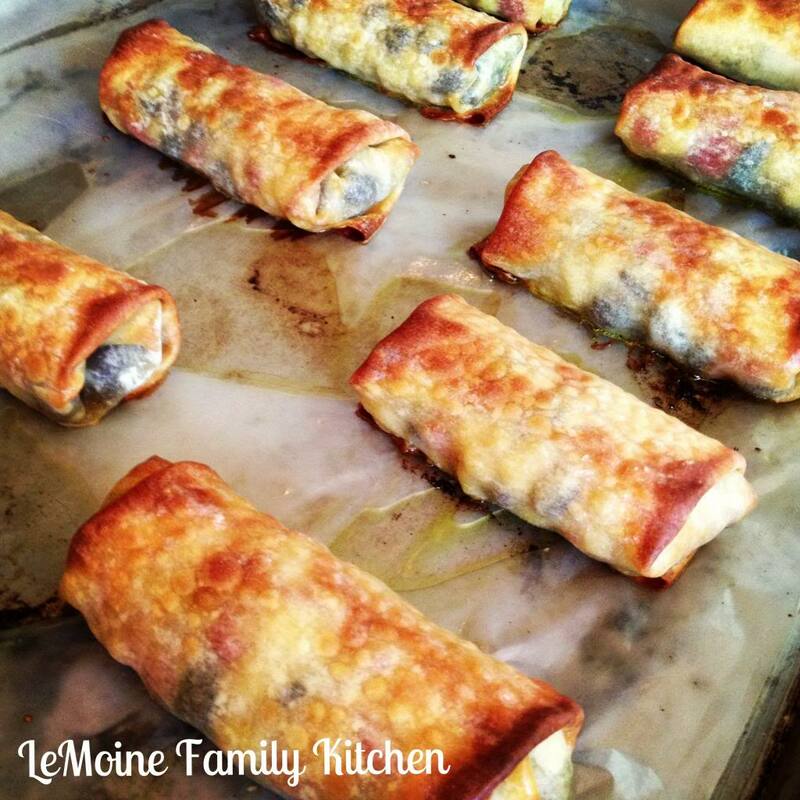 These Southwest Egg Rolls are really easy to make, require just a handful of ingredients and are baked not fried!! 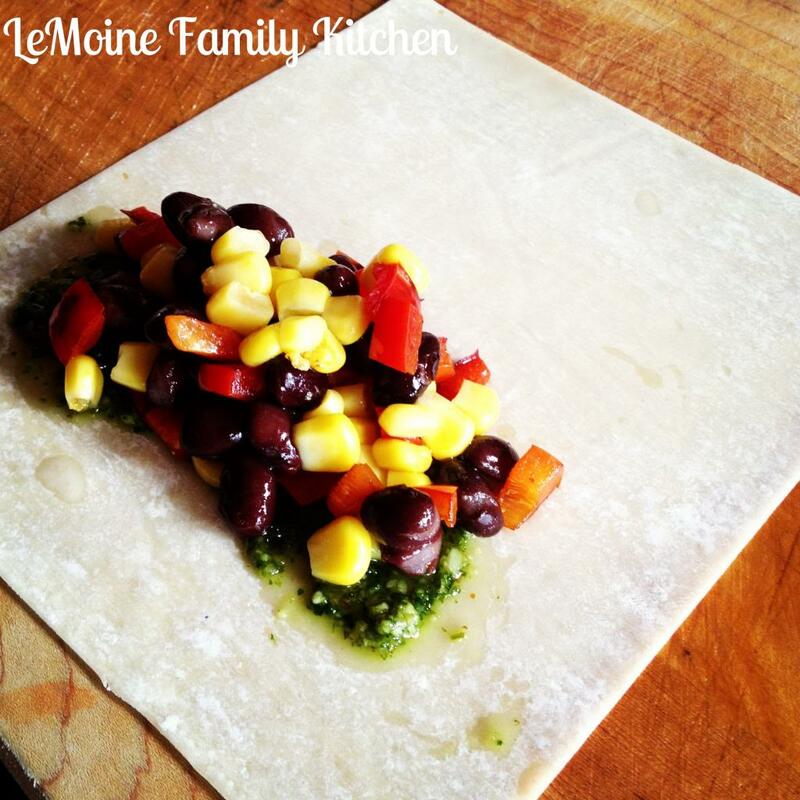 Egg roll wrappers are filled with sautéed red bell peppers, corn and black beans. The extra burst of flavor comes from the cilantro lime pesto in there as well. To get the recipe for the pesto go check out my Cilantro Lime Shrimp post. 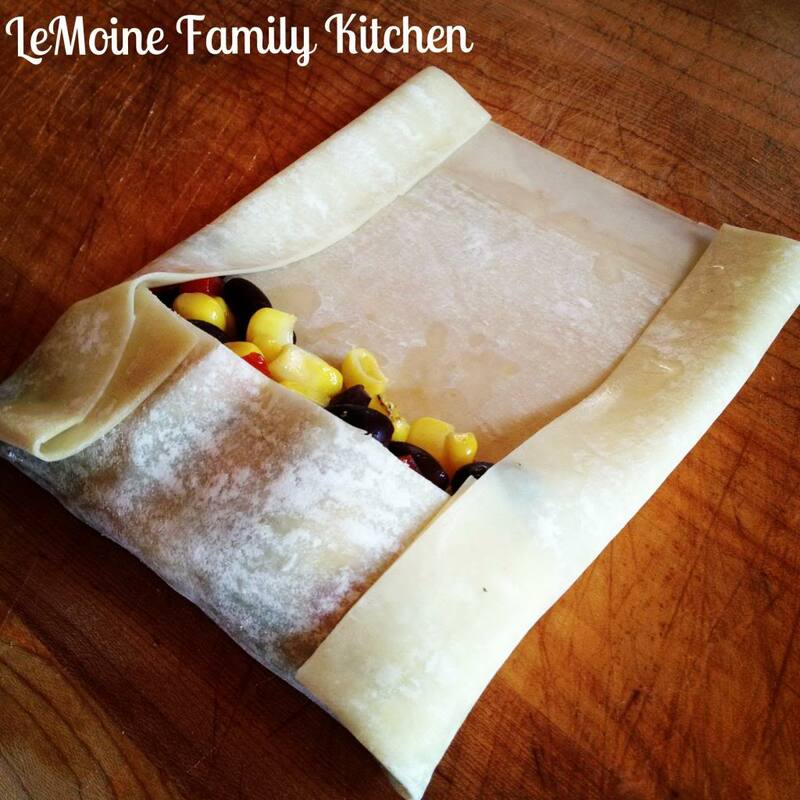 Rolled up and baked to golden crispy perfection! I made a simple avocado mash to dip them in… smashed avocado, a little lime juice, salt and pepper. Really delicious! I don’t care for raw peppers so I sauté the peppers with a drizzle of olive oil in a pan over medium high heat for just a couple minutes. 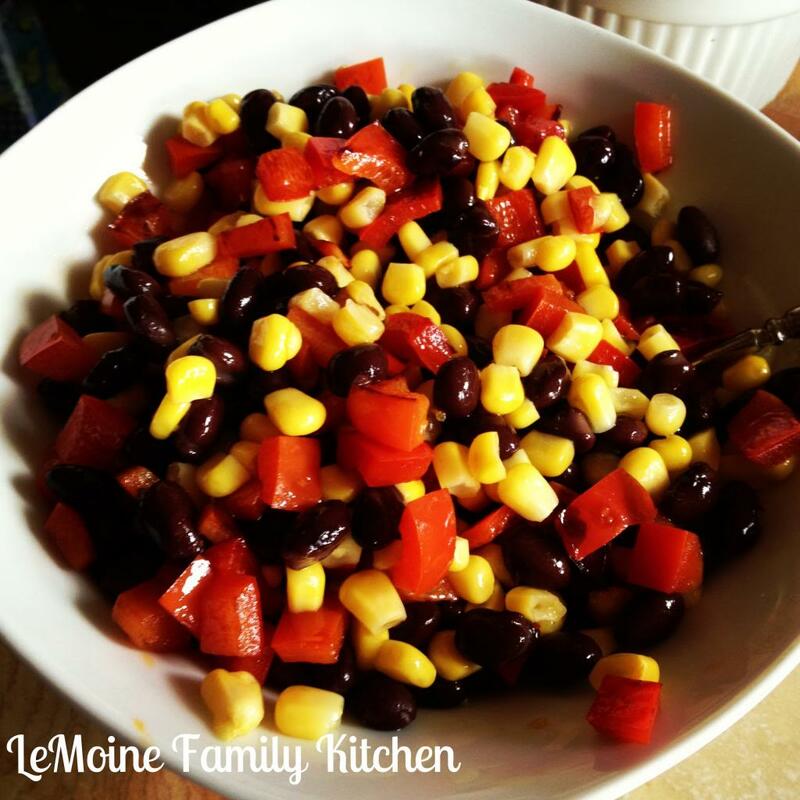 Mix the peppers, corn and black beans in a bowl. 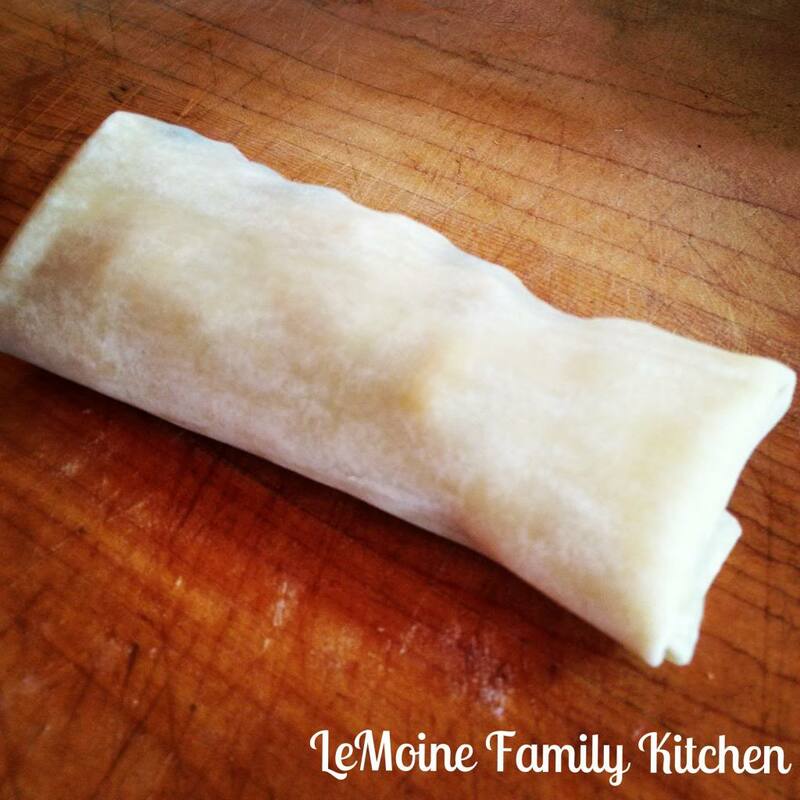 Lay out the egg roll wrappers. 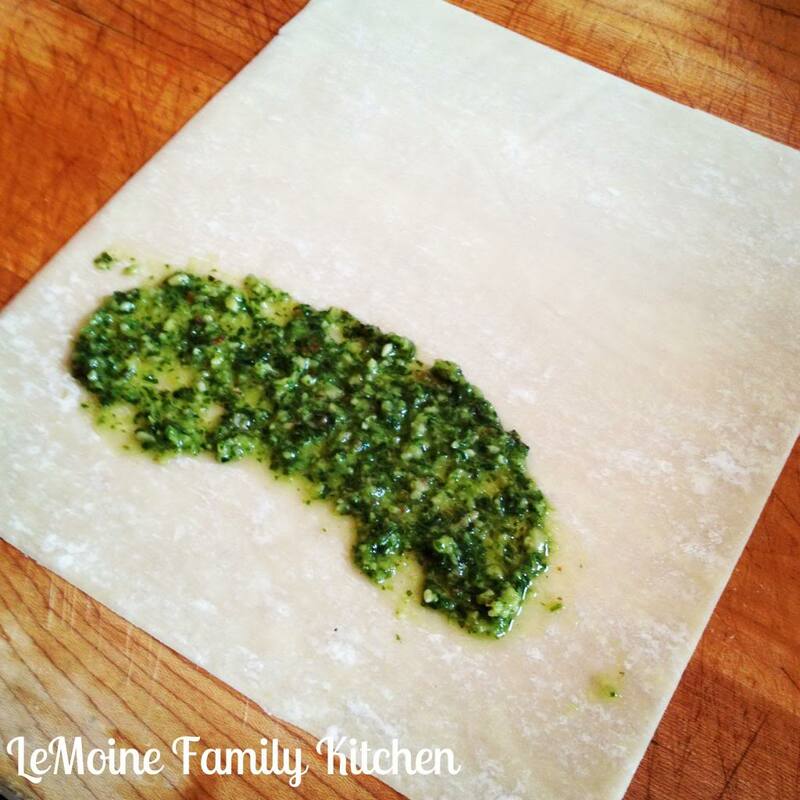 Smear some of the cilantro lime pesto on the end closest to you, leaving about an inch of the wrapper on the very end. Add a spoon full of the veggies along the line of pesto. Brush the ends of the wrapper with water, this will help seal the egg roll. Fold the end nearest you over the veggies and the two sides fold in as well. Roll up the wrapper to the end. Place seam side down on a lined baking sheet that his been brushed with a bit of olive oil to prevent sticking. 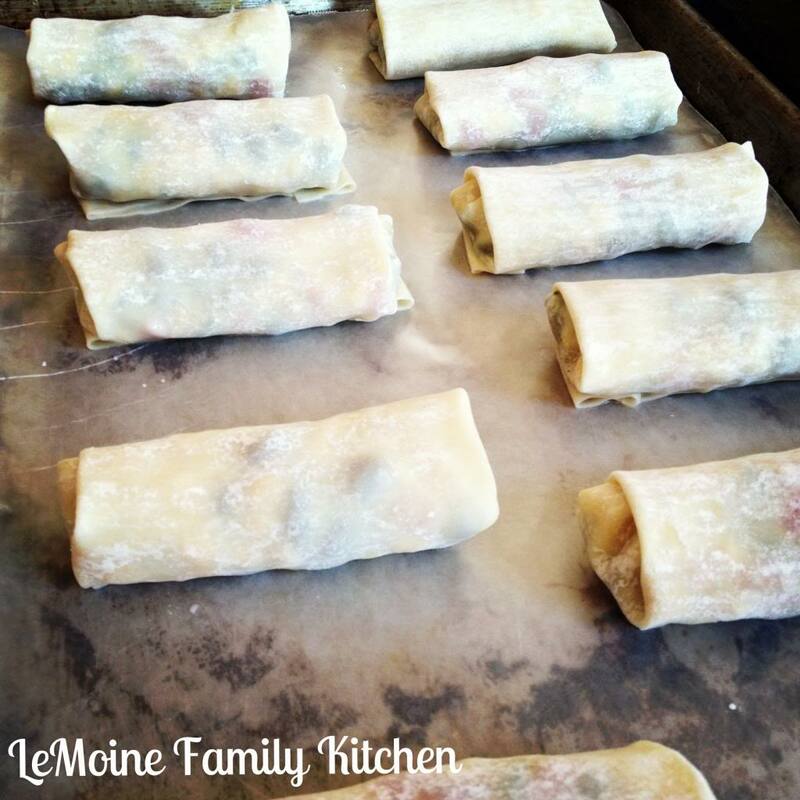 Brush the egg rolls lightly with olive oil as well, this will help get that golden color. Bake for approx 18 minutes, or until golden and crispy. Just wanted to BUZZ by and let you know this is one of our feature this week on our party. We would love it if you would BUZZ over to our party that goes live tonight and grab our feature button. Ah!!!! Thats so awesome!!!!!! Im honored!!! I will definitely be buzzing by, as I do weekly… love your link up!! !